Normally I am all about low maintenance food and cooking, at least on weekdays. That usually means no French recipes. While the flavors don’t disappoint the time they take to create is sometimes daunting. Here is a one pot meal that never fails to impress and I’ve managed the time down to an hour and a half. 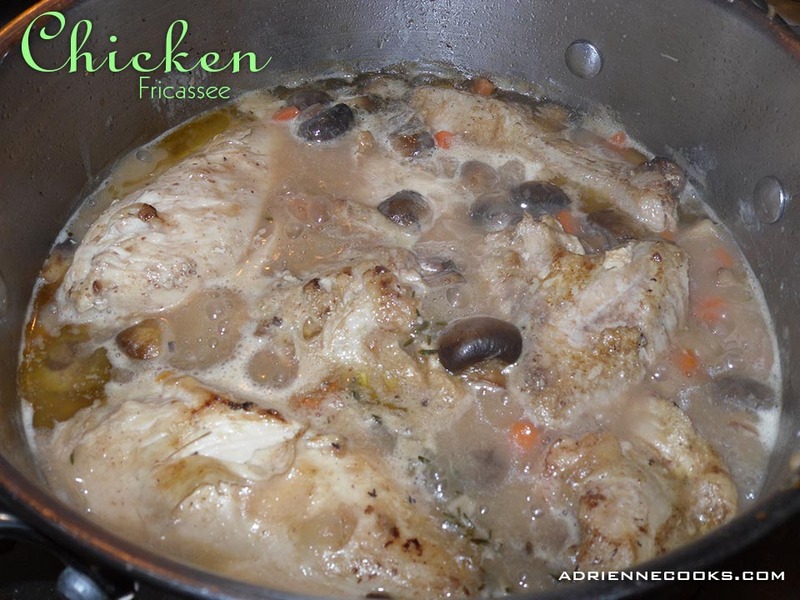 Fricassee is the promise of flavor. Slow cooked, rich stocks – like a diluted confit. Perfect for a winter night or weekend in. I like to serve it with a little rice and broccoli because both accept the nice saucy broth and gather it up for my noming pleasure. Bonus! 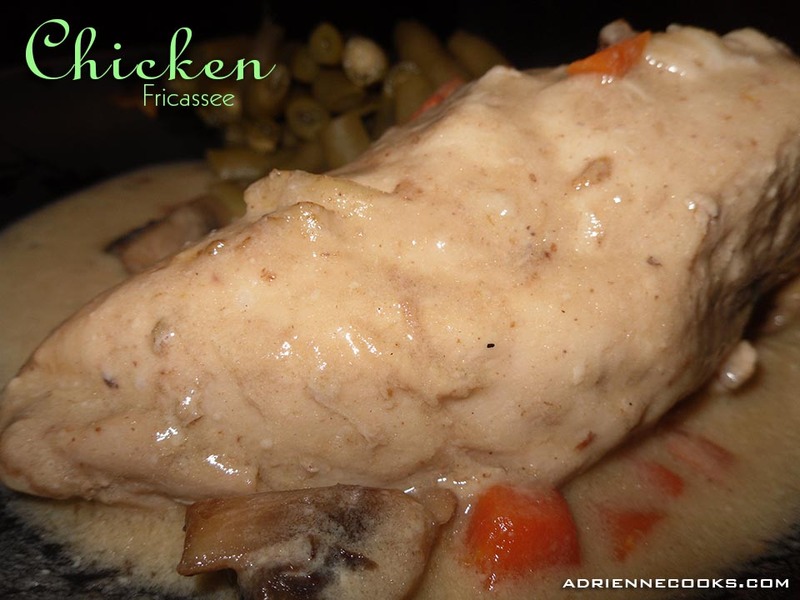 Leave out the wine (or heck, leave it in) and this is a low carb recipe! If you choose to leave it out add an extra ½ cup of broth and watch how much you reduce at the end (just prior to the liaison). If you lose too much liquid you won’t have much rich, saucy broth. Season your chicken with sea salt and black pepper to taste. Melt 1 tablespoon of butter and add the olive oil to the pot. Brown the chicken over medium high heat starting with skin side down in a large Dutch oven or large heavy bottomed pot. After sufficiently brown, flip chicken to brown the other side. Remove chicken to plate. Sauté veggies in chicken drippings over medium heat until soft, onions are translucent and some edges are starting to brown. 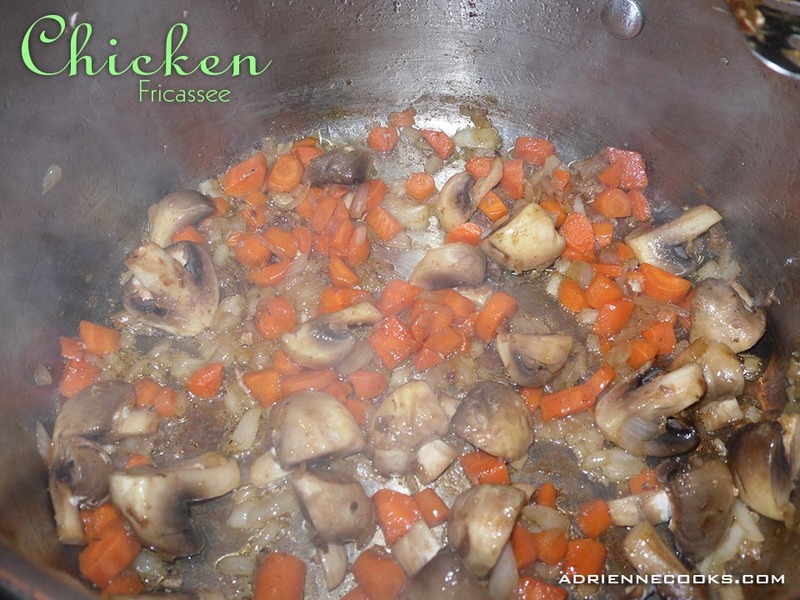 When mushrooms have released their liquid pour in the wine and chicken stock and bring to boil. 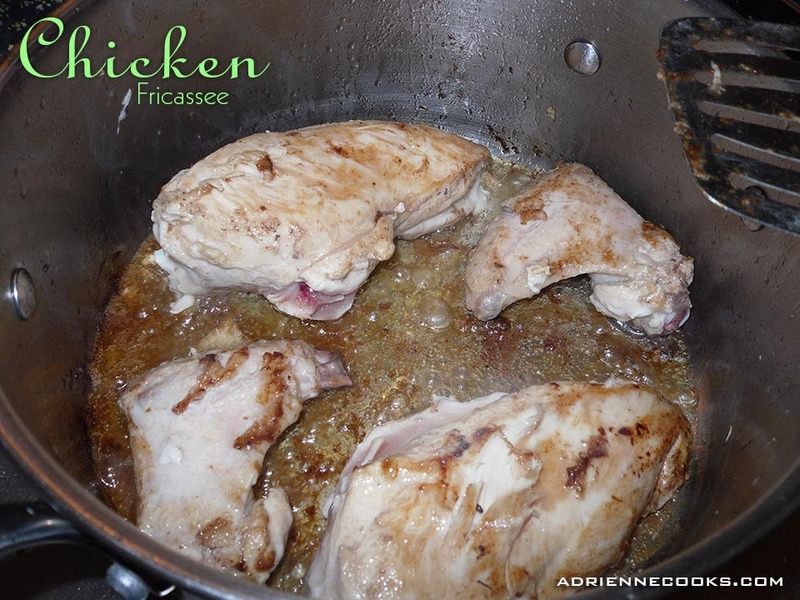 Return chicken to pot including any juices that have seeped out, skin side up. Add the herbs and reduce to simmer. Cover partially with a pot lid and cook for 45 minutes. 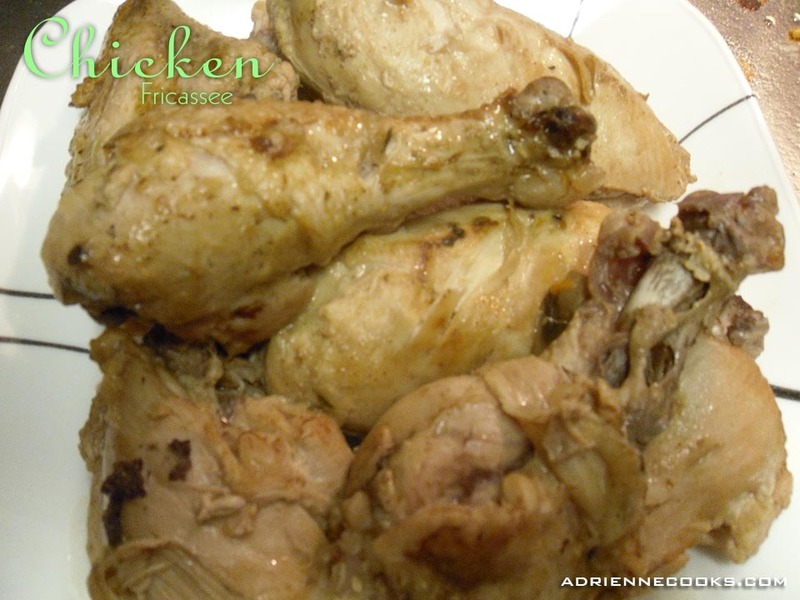 Haul your chicken out (again) and place on CLEAN plate – the other one has raw chicken on it! Let liquid reduce by 1/4 while preparing thickener. Mix the egg yolks and cream together in a medium bowl. Add ½ cup of hot liquid from the pan whisking constantly. 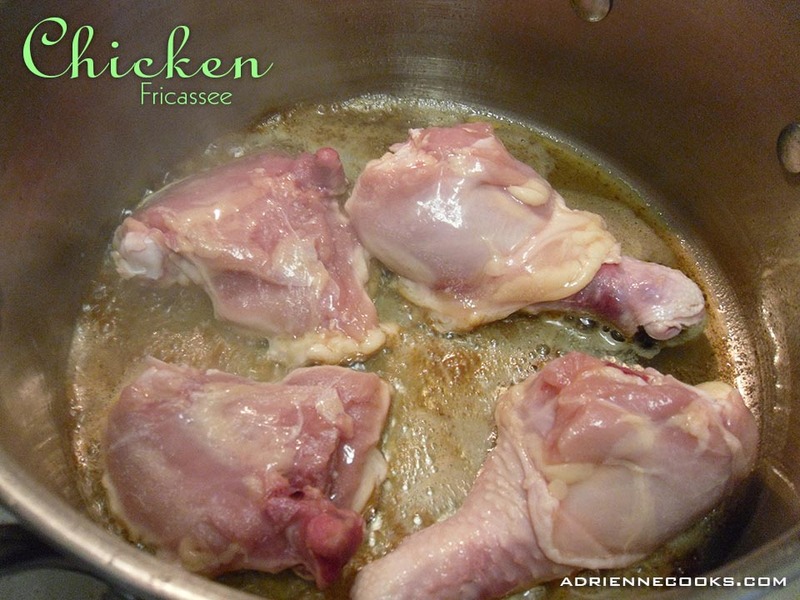 Now you have tempered liaison (thickener –French term) now stir that into the pot and return the chicken (last time!). Now dollop with your butter and squeeze a lemon over it for a nice fresh flavor.